Every Christmas I see all the commercialism around. I mean Hallmark begins putting out ornaments in July. It is a bit crazy. I always like to create ways to keep our focus on the religious side of the holiday. After all we are celebrating the coming of Jesus, our Savior. Over the years we have gathered some great resources. 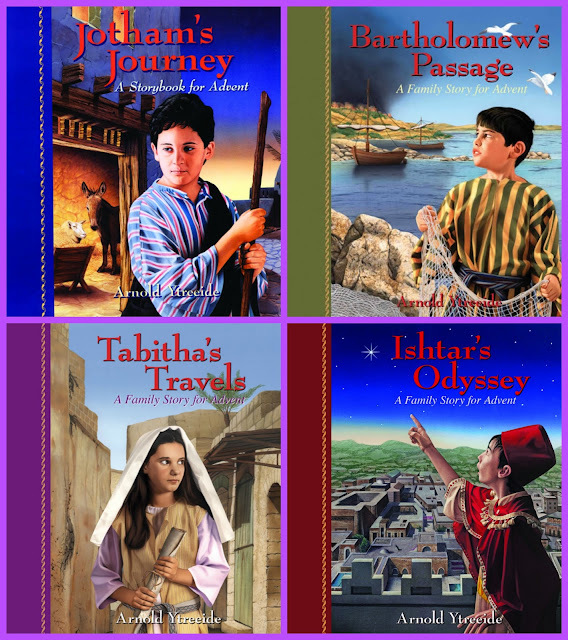 One of our favorites are the four family storybooks for Advent we have reviewed (Jotham, Tabitha, Bartholomew and Ishtar). Each of these stories tell the nativity story from kids point of view. One is a shepherd and another is the son of one of the magi and so forth. 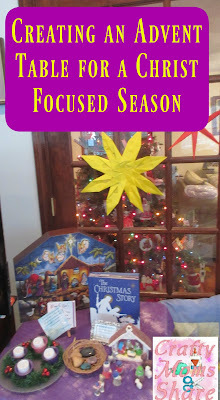 The stories intertwine with each other and make the Advent stories quite an adventure. Hazel loves to reread them each year. We often will read a chapter at dinner each night. 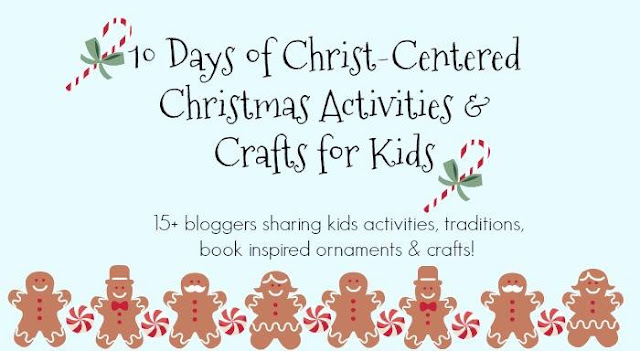 They are a wonderful way to focus on the nativity story as well as have lessons built into them. This year I decided to put together an Advent table. In our family room, I covered a small table with a purple cloth. I put on it Hazel's Advent calendar. It was a gift from my parents and each year I try to put things in it related to the nativity story. This year we have pieces of a creche with scripture to go with the pieces. I shared them here. As she gets each piece she is putting them on our mantel next to our stockings. We are also hanging the scripture cards above our table. On our table with have another nativity set from a previous year. We also have Ishtar's Odyssey since that is what Hazel is reading right now. 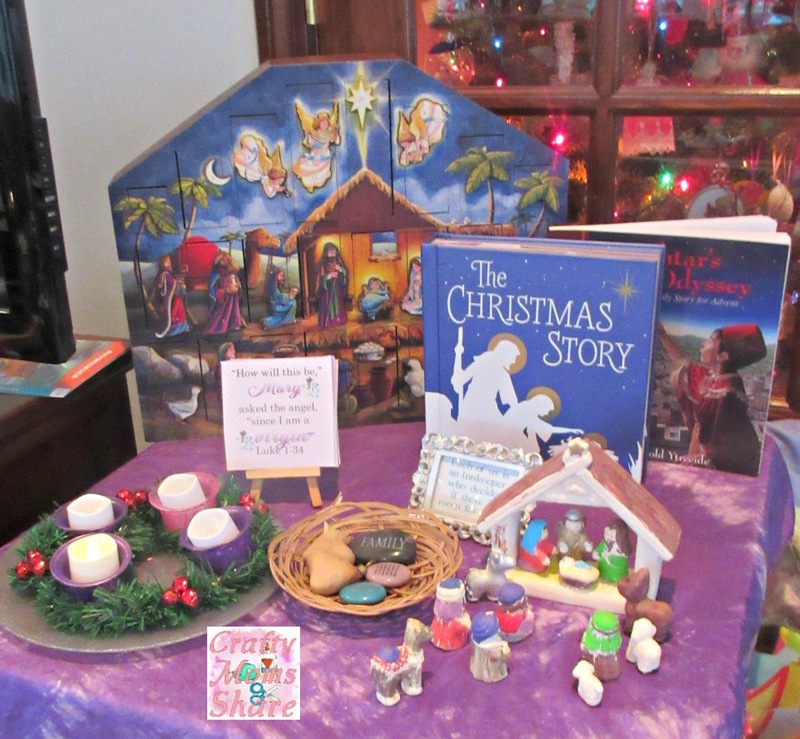 We also have the beautiful pop-up book, The Christmas Story. I also added our Dollar Tree supplies Advent wreath. It has battery operated candles so Hazel can light the Advent wreath whenever she wants. There is a basket with scripture rocks and olive wood hearts from olive trees in the Holy Land. My favorite thing however are our Scripture cards. 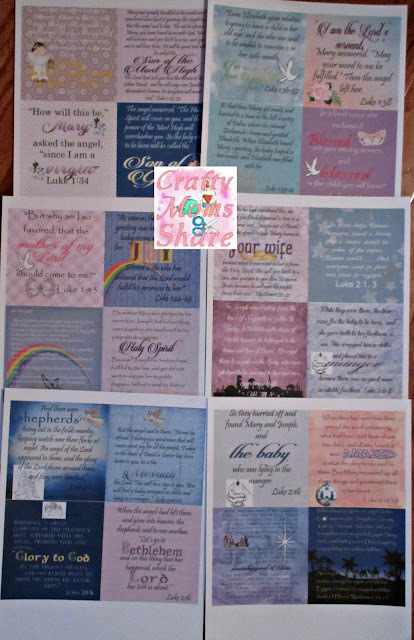 I went through the nativity stories in the Bible (Luke and Matthew) and broke them into short pieces and put them on decorative cards (twenty-four of them). The photo below are of them, but a couple have been changed due to difficulty in reading. When Hazel goes to open her Advent calendar she also changes the card and reads aloud the scripture on the new one. It sits there on a small easel for the day so we can ponder over that part of the story. I love adding the scripture to our Advent. The readings are nice and short and easy to quickly add a bit of Jesus into our day each morning. And I have them so you can print them out as well!! (As with all of my printables please do not share the link but refer people back here to get their own!!) I also included one of my little framed Christmas pritnables. 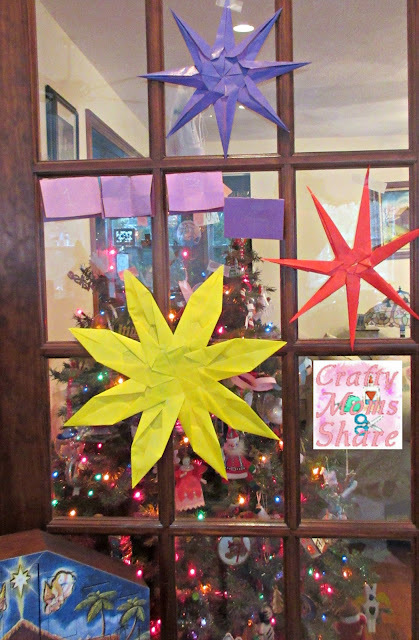 Then above our table I hung three origami stain glass stars. I pulled out the Suncatcher origami paper I bought years ago and made three that I found instructions for on-line (here and I can't find the instructions for the red one--sorry!). Mixed in with them are the purple cards from Hazel's Advent calendar. The insides have scripture that go with each piece of her nativity set. Now we have stars marking the spot of where we are bringing Jesus into our Christmas even more than previously. For more ideas on bringing Jesus into your holiday season check out our Focus on Nativity from a few years ago and Focus on the Nativity Crafty Weekends from this year and then check out these other great posts as part of this fun blog hop! Books for Harry Potter Lovers! Animal Books -- Stories, Activities & More!